Carolina Reaper peppers are involved. 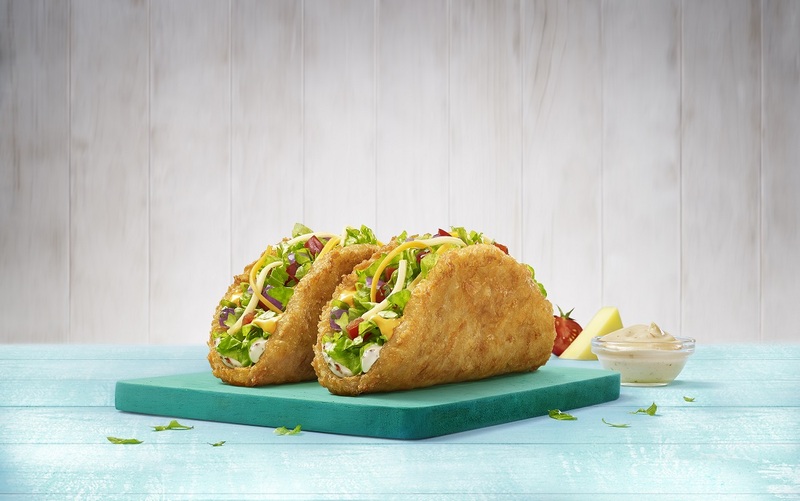 Taco Bell’s on-again, off-again relationship with french fries just got serious. 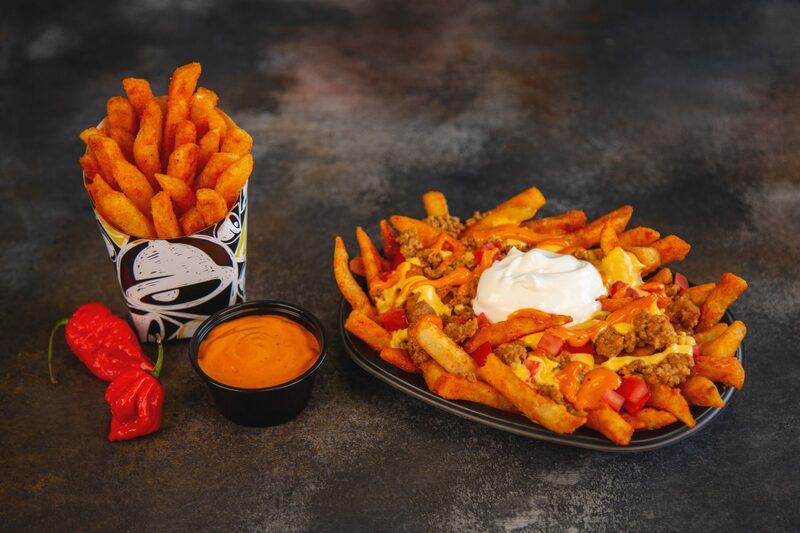 Back in January, the Tex-Mex chain introduced Nacho Fries—a habanero and cayenne-seasoned take on the fast food staple, served with a side of cheese sauce. Despite being a pretty genius menu addition (what more could a late-night, intoxicated diner want? ), Nacho Fries were pulled just two months later, presumably to make room for other limited-edition items. 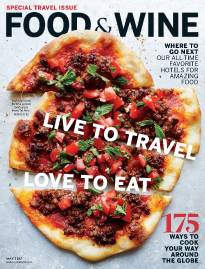 But then—plot twist—Taco Bell added them back in rotation on July 12, at a slightly higher price point (while Nacho Fries debuted on the Dollar Cravings menu, this time around they’re $1.29). Now, the chain has confirmed that they’re here to stay through “mid-September.” And, starting today, they’ll be joined by some friends. 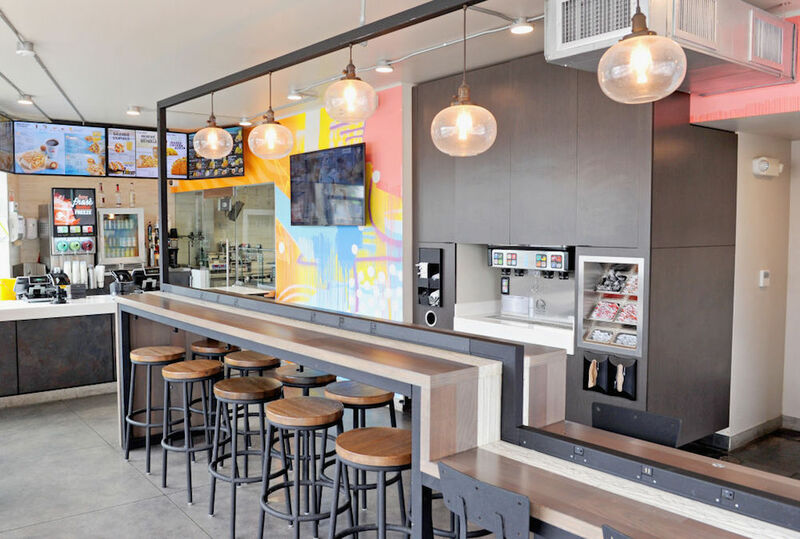 Yes, Taco Bell is currently testing two brand-new fries in Columbus, Ohio. Here’s everything we know so far. The Toppings: Nacho cheese, steak, creamy jalapeño sauce and pickled jalapeños. The Spinoff: Taco Bell is also offering a “Rattlesnake Burrito” for $2.99. It’s the exact same dish, heaped on a tortilla and rolled into a portable french fry sandwich. While Taco Bell has always offered the option of topping off your Nacho Fries with some extras, this combo saves you from deliberating too long at the drive-thru. Plus, were you to reverse engineer Rattlesnake Fries—ordering each addition separately—the whole thing would cost you $5.16 (that’s assuming you went with the “Supreme” size and not the “Bellgrande,” which is even more expensive). The Toppings: Carolina Reaper seasoning, Reaper Pepper sauce, and a side of creamy ranch. The Spinoff: There’s also a $2.49 “Supreme” version of the Reaper Ranch fries, which comes with the aforementioned Carolina Reaper seasoning, and Reaper Pepper sauce, as well as nacho cheese, seasoned beef, diced tomatoes, and sour cream. 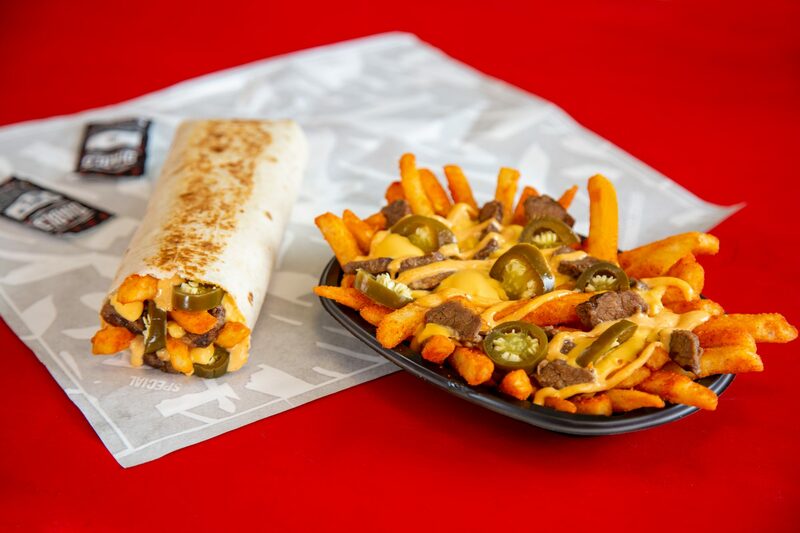 The Carolina Reaper is the world’s hottest pepper, so Taco Bell is looking out for you by serving these spice-bomb fries with a cooling side of ranch.